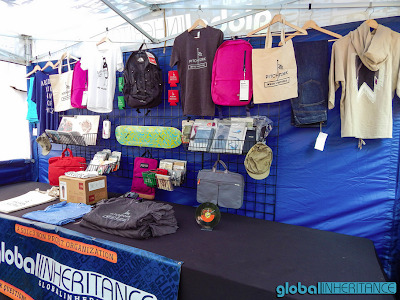 Global Inheritance is a group that completely jibes with our mission at Loomstate. 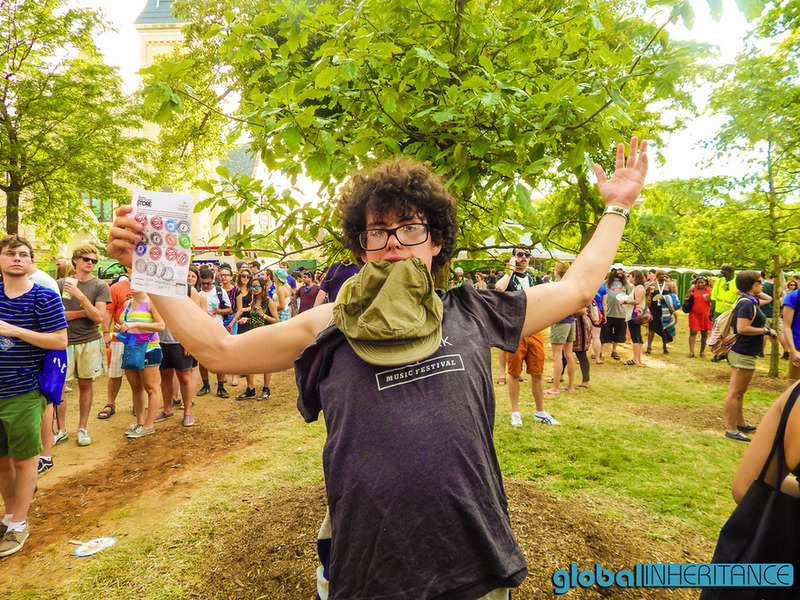 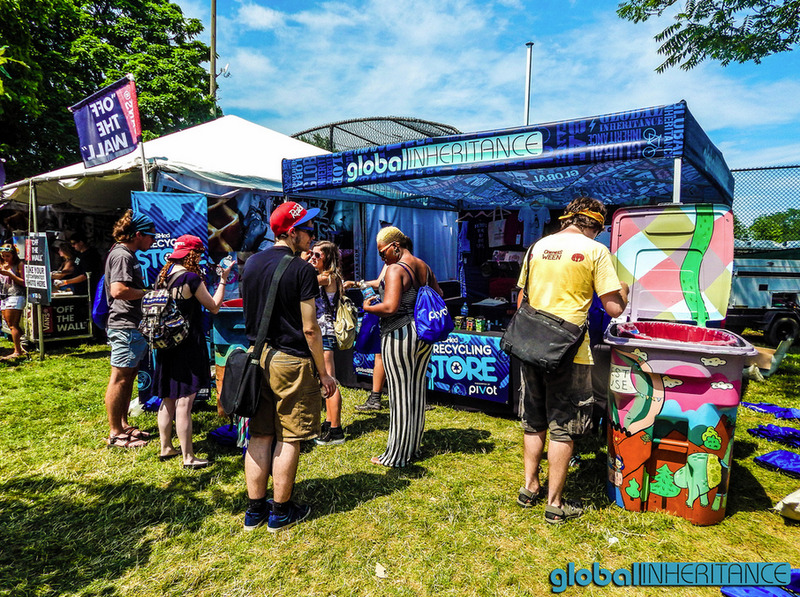 They are "reinventing activism by inspiring people's every day choices," by fusing creativity, music, and outlandishly innovative ideas to energize and empower a younger generation on sustainability. If you haven't seen their human-powered sno cone machine, adult seesaw cellphone charging station, or artist painted recycling bins at a previous festival, you will likely spot their creative presence in the future. 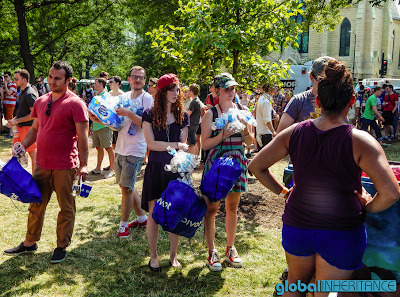 At the Pitchfork Music Festival in Chicago last week, festival-goers traded bottles and cans at the Trashed Recycling Center for a gift from Loomstate and other brands!